Rania Angelakoudi was born in Kronanberg, Sweden a city she still visits and has close ties with. She’s been a citizen of the world from an early age, travelling and meeting people, sharing ideas and experiences with other artists about life, human affairs and Mother Nature, a subject close to her heart. Her English Language studies have allowed her to study,explore and inspired by the international literary scene. 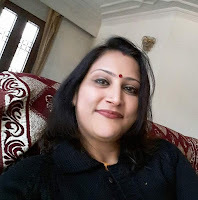 She currently works as an English Language teacher, dividing her time between her students and her two favourite pastimes, painting and primarily poetry. She has published poems in Greek and International Literary Journals receiving positive comments. This encouraged her to participate in various literary competitions where a number of her poems have received praise and awards. In 2005 her poem ‘For you’ was awarded an honourary distinction in competition organized by the Lions club. 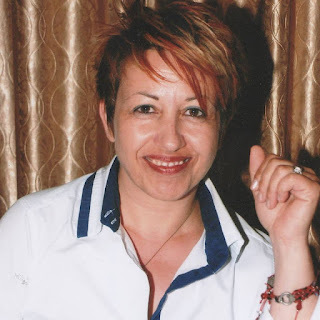 In 2009 her poem ‘Winning Life’ came second in a Panhellenic-Pancypriot competition organized by the Author’s club. In 2013 her poem ‘Orfic rite’ came third among hundreds of participating poems from Greece and Cyprus in a competition organized by the Municipality of Evosmos, Thessaloniki under the auspices of the Greek Ministry of Culture. In 2014 her poem ‘Pomegranate Tree Lane’ won the bronze metal in a European Literary Competition organized by the Municipality of Kessaria Kozani and the Vafopoulio Cultural Centre of Thessaloniki. In 2015 her poem ‘Of Human Affairs’ translated in the Italian Language with the title ‘Rapporti Umani’came third in an international competition making Rania the first Greek poet to be awarded a distinction by the PiGrecoZen corporation under the auspices of the Italian Ministry of culture and the Municipality of Ankona. In 2016 her poem ‘In Shallow waters’came fifth among a number of entries from London,Germany,Greek,and Cyprus during the 9 th meeting of Contemporary Artists held by the Literary Journal ‘Pnoes Logou’.She has also contributed work to the collection of poems ‘In the city of ideas’along with other distinguished poets and in the anthology ‘A Poets Fest’published by Orion Publications.Anumber of her poems can also be found in the anthology ‘Oh Love’by Ianos Publications and the Literary Journal’ Keleno’.She is a number of the writers Association of Nothern Greece and the Club of UNESCO of Piraeus and islands.